Spire of Notre Dame Cathedral in central Paris collapsed in a huge fire on Monday afternoon. Firefighters were still fighting to put the fire under control, Paris Mayor Anne Hidalgo said. 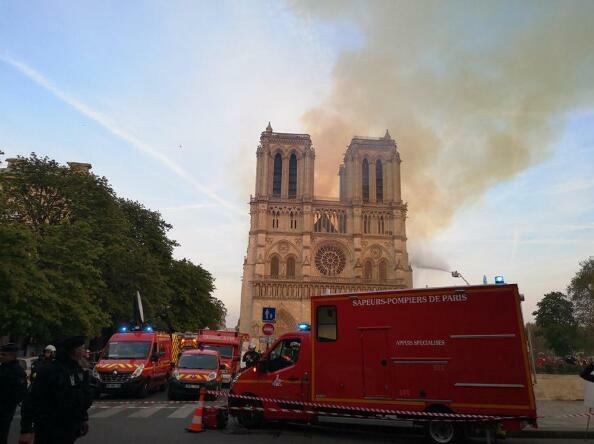 "A terrible fire is underway at Notre Dame Cathedral in Paris, firefighters are trying to control the flames," Hidalgo tweeted. "We are mobilized ...in close connection with the Diocese of Paris. I invite everyone to respect the security perimeter," she added. Online footage showed a thick smoke billowing from the top of the cathedral and huge flames between its two bell towers engulfing the spire and the entire roof, both of which collapsed. 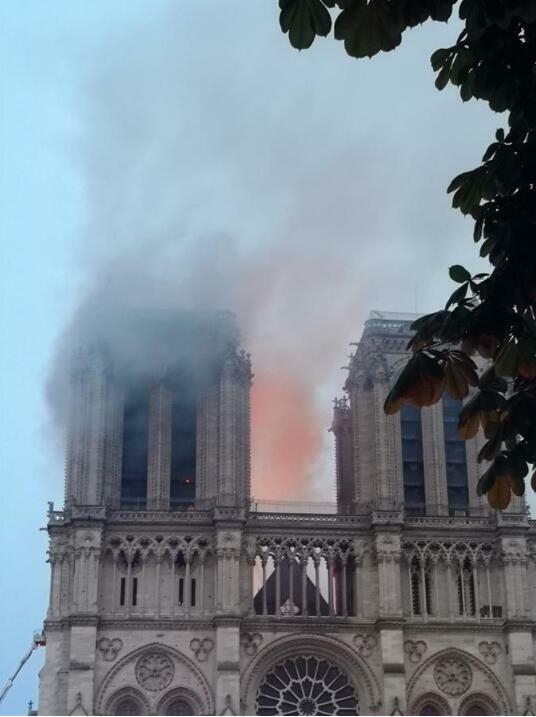 "Everything is burning, the frame, which dates from the XII century on one side and the XIII on the other, there will be nothing left," Andre Finot, the cathedral spokesperson told BFMTV news channel. Following the blaze, President Emmanuel Macron, due to give a speech at 1800 GMT, delayed his TV appearance during which he intends to unveil a new batch of measures to quell social rebellion, his office said, without giving further details. "Notre Dame de Paris in flames. Emotion of a whole nation. Thought for all Catholics and for all French. Like all our compatriots, I am sad tonight to see this part of us burning," Macron wrote in a tweet. Accompanied with Prime Minister Edouard Philippe, Macron rushed to the centuries-old cathedral which attracts millions of foreign visitors every year. Paris prosecutor office has launched an investigation to determine the cause of the blaze.